Val's Quilting Studio : 2014 ALYofF: Twelve Finishes! Congrats on all those finished projects, and a Happy and Healthy New Year to you and your family. Congratulations on a super year! Congratulations on achieving all of your goals. I am inspired by your ability to always achieve what you set out to achieve. I think this year my goal will be to make goals (and to reach them). 12 finishes! I'm in awe. I did finish one. I started a bunch, but don't really think of them as UFOs unless they are earmarked for someone. (Funny how we all have different "daffy - nitions" of things. Take the easy work Blue, for example. Even I was floored by my 64s. Blue just isn't what I thought it was.) Thanks for showing your beauties. Fun to see them again. You had a great year of finishes. Your "house" quilt is still my favorite for the year. I'm going to try the ALOYF this year to see if helps reduce my unfinished project list. Love all those pictures! Particularly those that have the four legged model!! Wow! You nailed it during 2014 Val... Way to go! That is a whole lot of beautiful finishes Val! Wahoo! For you! Congratz on all 12 finishes! Very impressive! All your projects are fabulous! Congrats on 12 of 12. Your puppy needs to step up though - only made it in a few of the photos. Good luck in 2015! 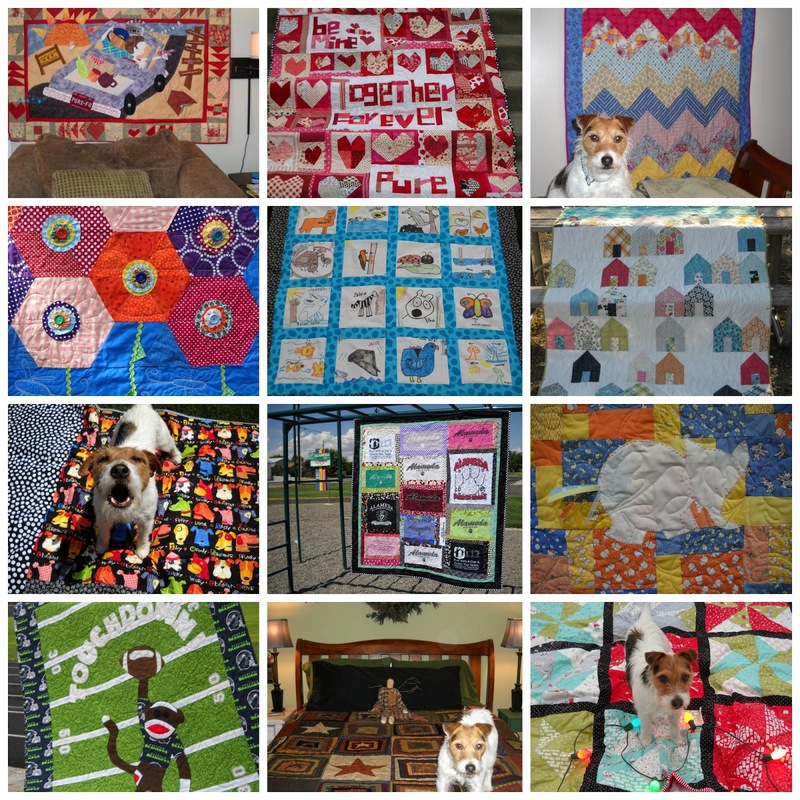 Nicely done and best wishes to you for a successful quilting 2015.